Based on reflow technology, this product provide an outstanding protection coupled with resistance to microscratches (e.g. by car wash) and chemicals. Therefore it is especially recommended for high quality complete or partial painting of cars, motorcycles and commercial vehicles. 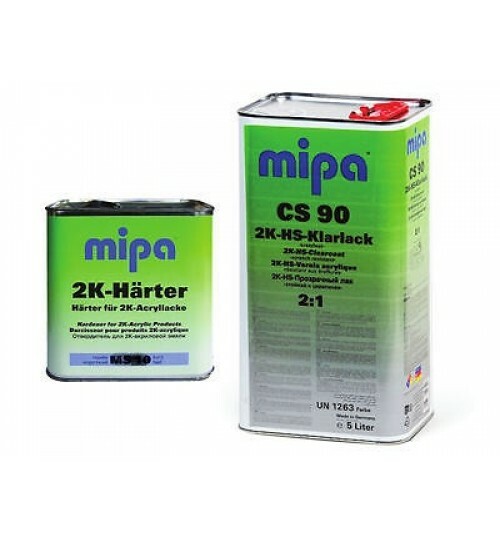 Mipa 2K-HS- Klarlack CS 90 is a high performance product for clear over base process with utility across a broad range of solventborne or waterborne paint systems. Fulfils the requirements for VOC regulations. Consumption: 6 - 8 m2 / l.